You’re a student, professor, doctor employee… or just spending your day outside? You’re looking for the best internet deal? The evening and weekend package is your choice! 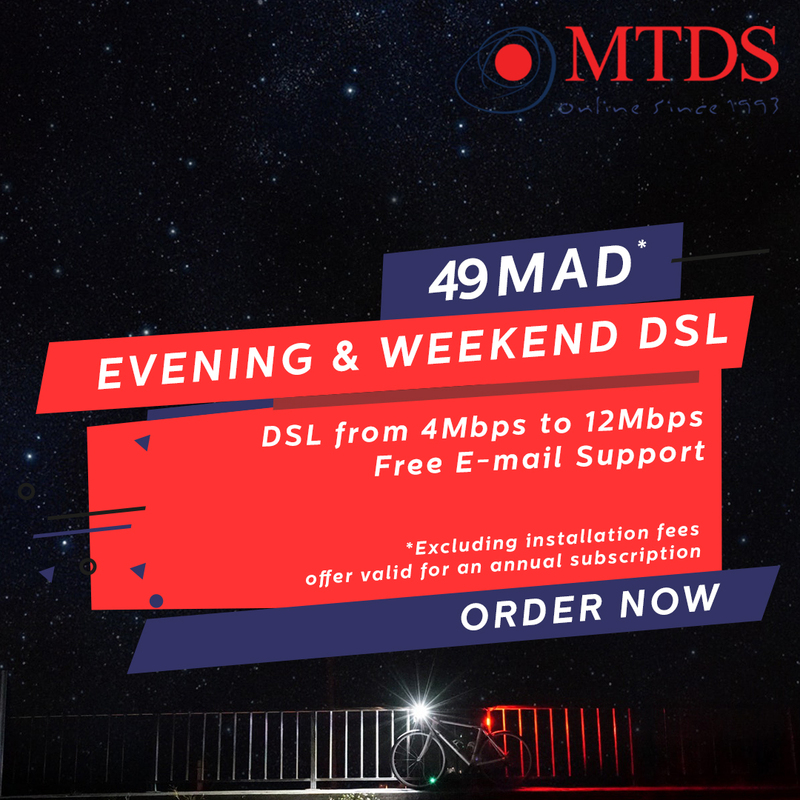 You can get your internet connection from Monday to Friday starting 5pm till 8am and during the whole weekend starting 49 MAD all taxes included.